After a quarter century at the helm of Michigan Maple Block, General Manager Fred Polhemus has decided to retire. For the last 25 years, Fred has led Michigan Maple Block in their day-to-day operations. In retirement, Fred will be spending his time on the golf course, on his Harley Davidson, or relaxing with his family. Filling Fred’s position will be Dave Ritter. Dave is a transplant from our Bally, PA facility. For the last 34 years, Dave has been working at Bally Block starting on the production line and eventually working his way to General Manager. Dave is excited for the challenges and opportunities that will come along with running the day-to-day operations of Michigan Maple Block. Taking over for Dave as the Plant Manager at Bally Block is Al Ottinger. Al is joining Bally Block after many years as a business consultant. There will always be a debate over which cutting board material is superior, wood or plastic. Chances are you’re going to receive a different answer with a different reasoning from every person you ask. More times than not, someone will tell you one is better than the other simply based on personal preference. 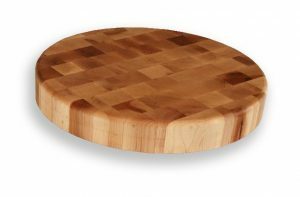 However, we’re going to settle the score and inform you on why wood cutting boards are better than plastic cutting boards. It is often assumed that plastic cutting boards are better for combating bacteria than wood cutting boards, and on its surface (no pun intended) it’s fairly reasonable to see why. Presumably, with wood cutting boards, bacteria is absorbed into the wood and can remain there. However, a study led by Dr. Dean O. Cliver of UC Davis found that when bacteria does come in contact with wood it actually kills it. Plastic cutting boards do not. Over time, knives will create deep incisions into plastic boards. These incisions create the perfect home for bacteria to thrive, leaving you with a contaminated board. When it comes to which board is better on your knives, the choice is also clear, wood. Here’s the science behind it. When a knife is used, the wood fibers actually separate and allow your knife to penetrate the wood. As you pull your knife back, the wood will actually go back together like nothing happened. Imagine, brushing your hair. Your hair separates when a brush runs through it. When you pull your brush out your hair comes back together. The same is true of a knife and wood cutting board. Meaning, your knives will not dull against the wood because it’s actually moving the wood. The same cannot be said for plastic. Instead of giving the knife somewhere to go, a plastic cutting board stops your knife on its surface resulting in a dull knife. When it comes to hardwood cutting boards there is absolutely no denying that aesthetically, they are far superior to plastic cutting boards. The sleekness of an edge grain cutting board and the boldness from an end grain cutting board are something that plastic cutting boards can’t replicate. Additionally, over time plastic boards will garner unsightly stains. Right in the middle of the board, you’ll often find a big yellow stain from repeated use. This kind of stain is common with nearly every plastic cutting board and cannot be removed. With wood cutting boards, there is no staining. When properly taken care of, wood cutting boards will keep their original beauty and remain stain free. 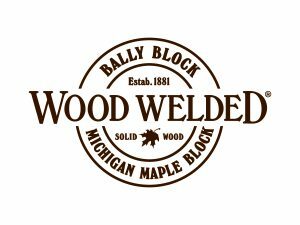 Wood Welded is the nation’s oldest butcher block manufacturer, and since 1881 we’ve been producing only top-quality butcher block products. That, of course, includes our cutting boards. Our hardwood maple cutting boards are made in the USA in our northern Michigan facility and are shipped directly to you. You can find them online at www.buybutcherblock.com or on eBay. For more information on other products, cleaning tips, maintenance, and warranty information please look around our website, or contact us directly. 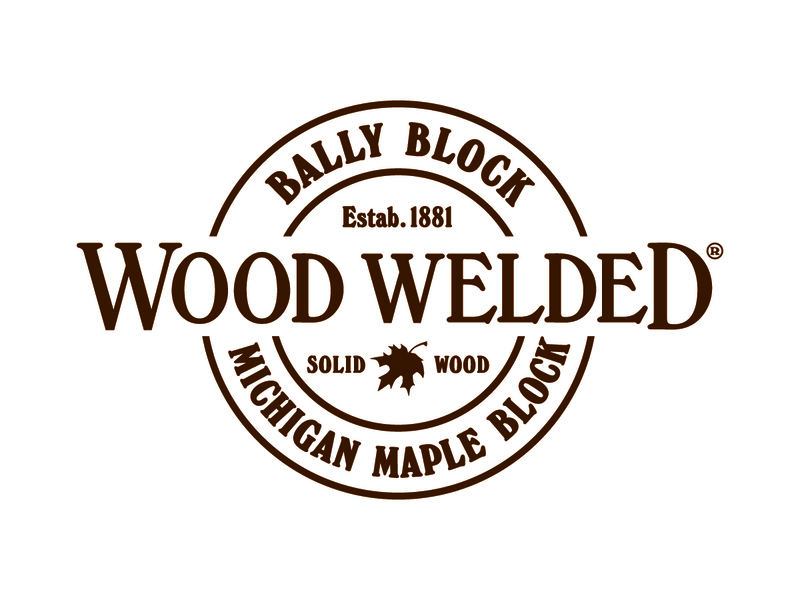 Michigan Maple Block Company, is pleased to announce we’ve added a new member to our sales and marketing team. Working in the Petoskey office, Kyle Hooper will serve as the new Sales and Digital Marketing Representative. Kyle holds a degree in Advertising from Central Michigan University and brings four years of marketing experience to the team. Most recently working for a marketing agency in Traverse City, Kyle’s unique perspective coming from the agency side of marketing will help Michigan Maple Block Company grow in this digital age. His additional knowledge of current digital and traditional marketing trends will help keep Michigan Maple Block Company ahead of the curve.